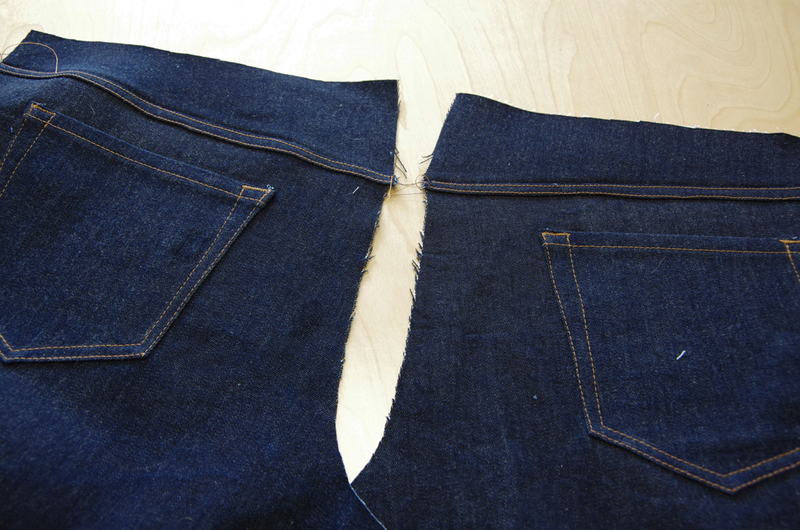 By the end of today's sewing session, we will more or less be able to try our jeans on! 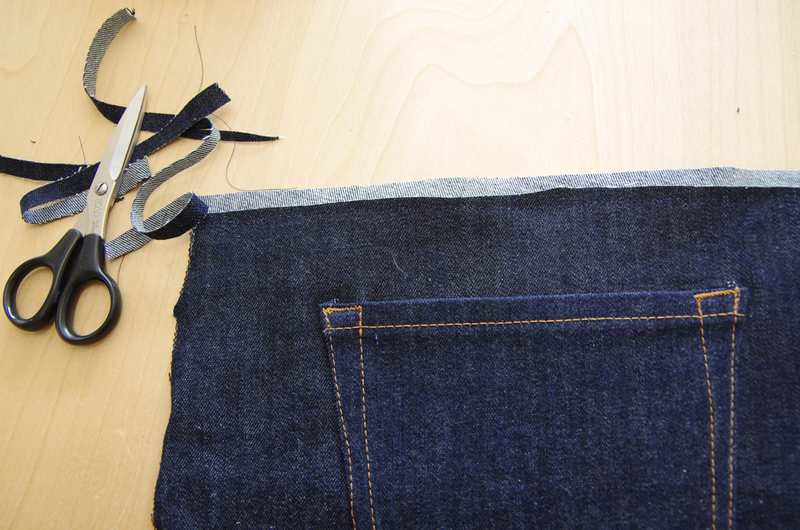 Let's get going by attaching the yoke. 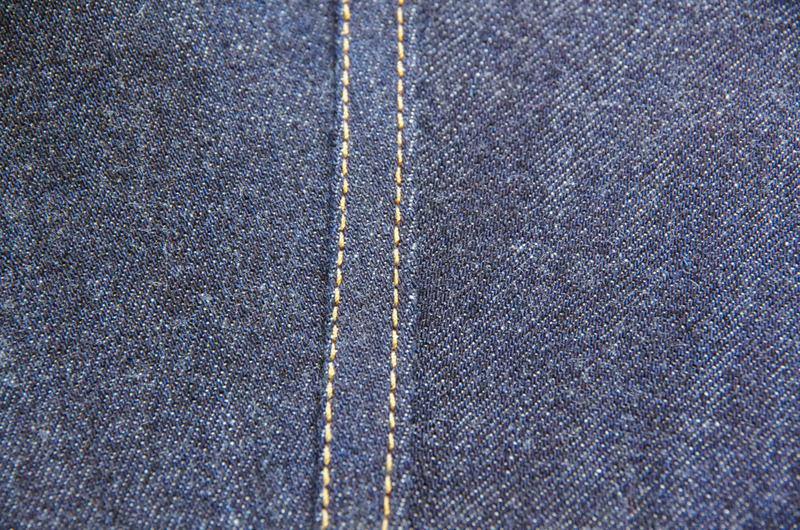 Stitch using a 5/8" seam allowance. 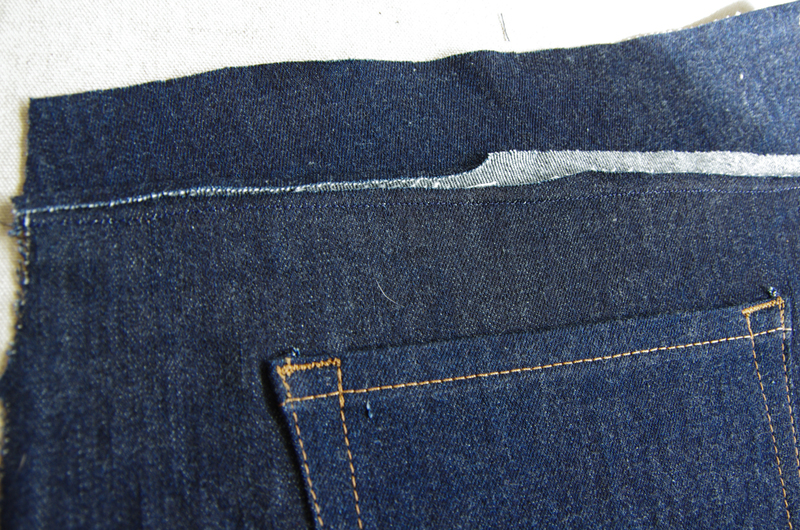 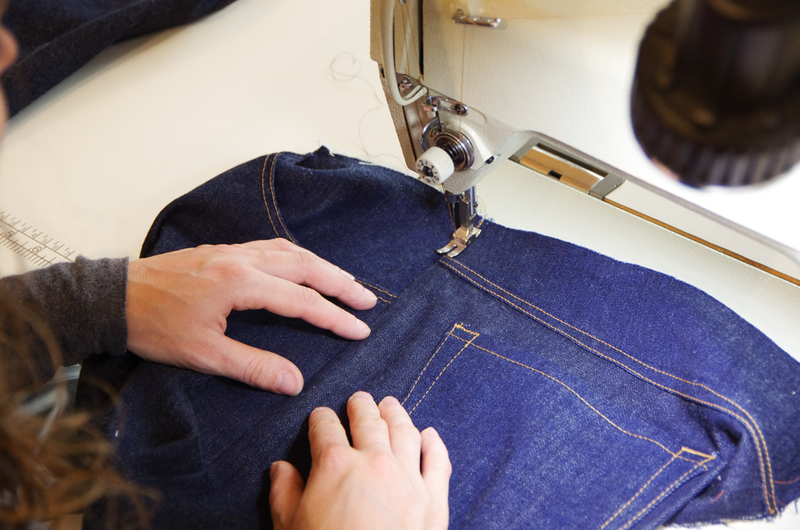 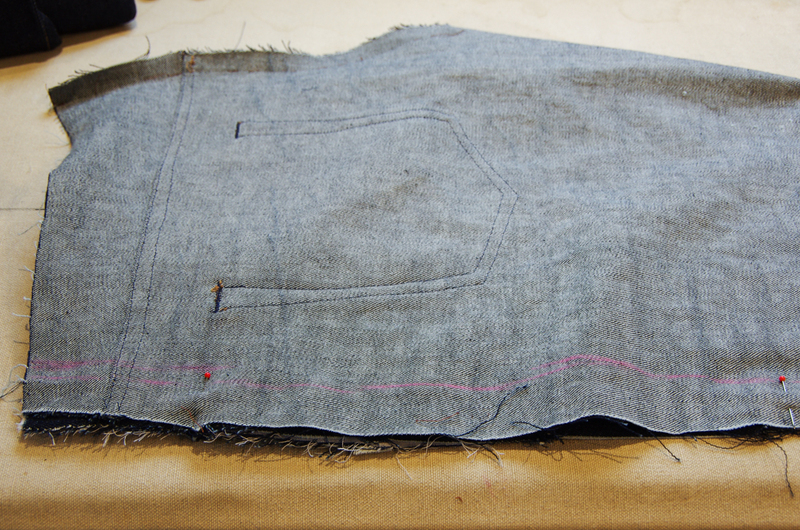 Trim the jeans back seam allowance to 1/4" as consistently as possible and leave the yoke seam allowance the full 5/8". 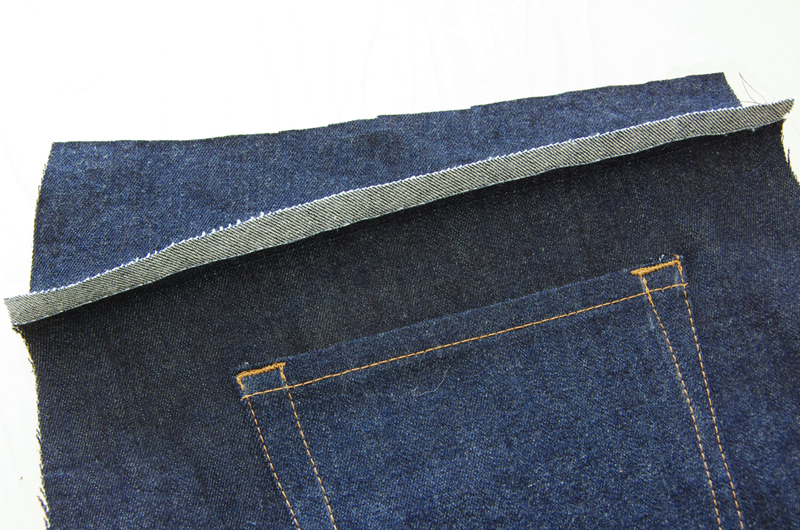 Fold the 5/8" yoke seam allowance down so that the raw edge meets the jeans back seam allowance. 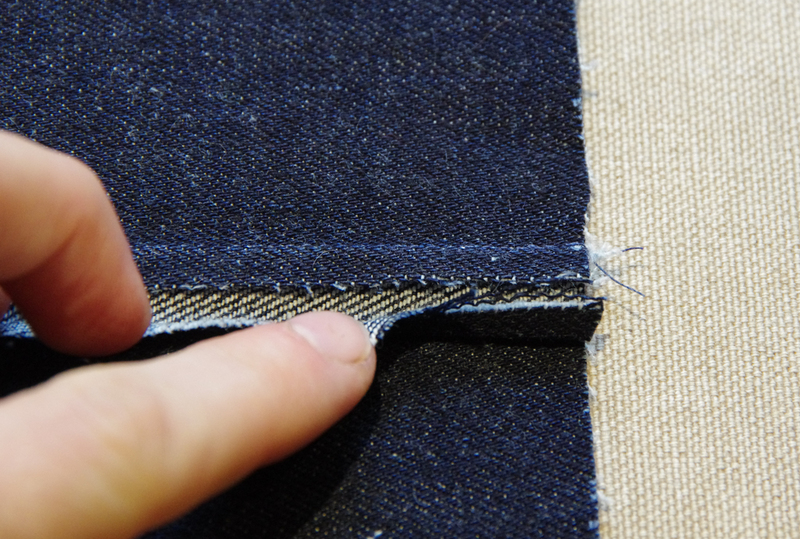 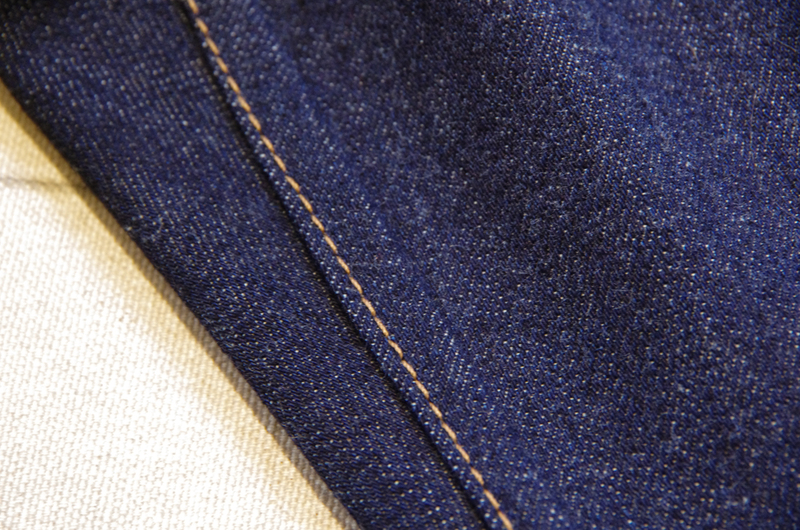 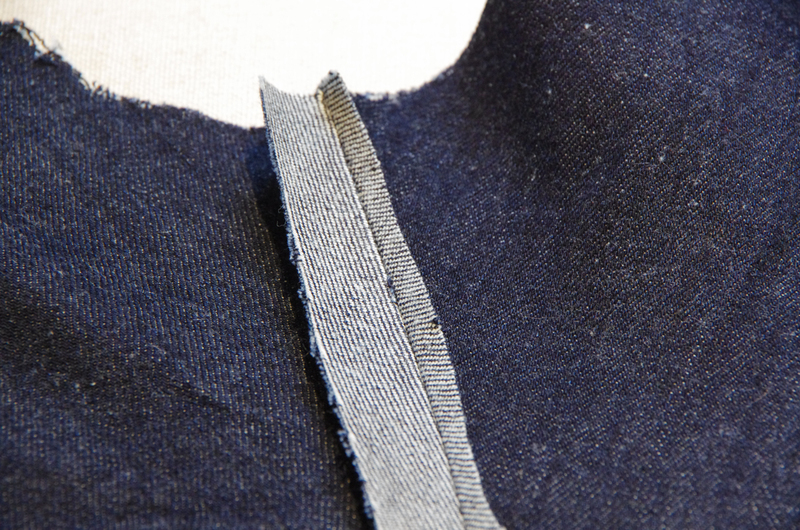 If you used a denim colored thread when originally stitching the yoke seam, you might like to add a second row of topstitching to the top of the flat fell seam (1/4" away from your edgestitching). 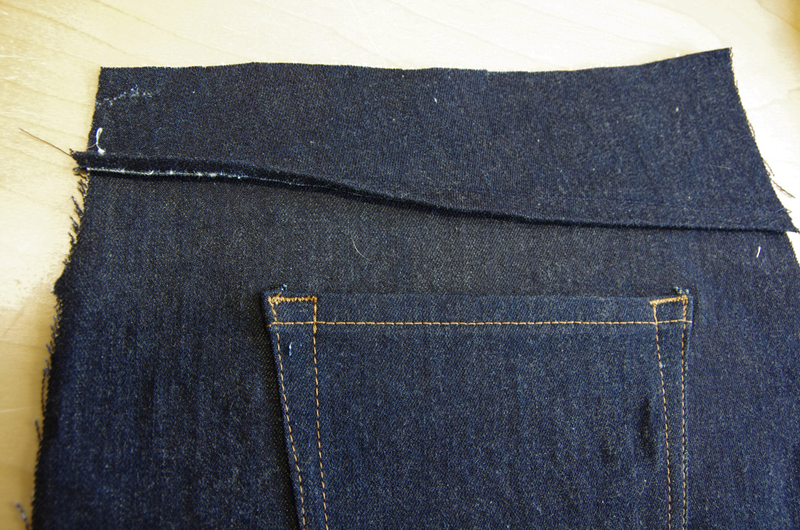 Stitch using a 5/8" seam allowance and then trim the jeans back seam allowance to a consistant 1/4". 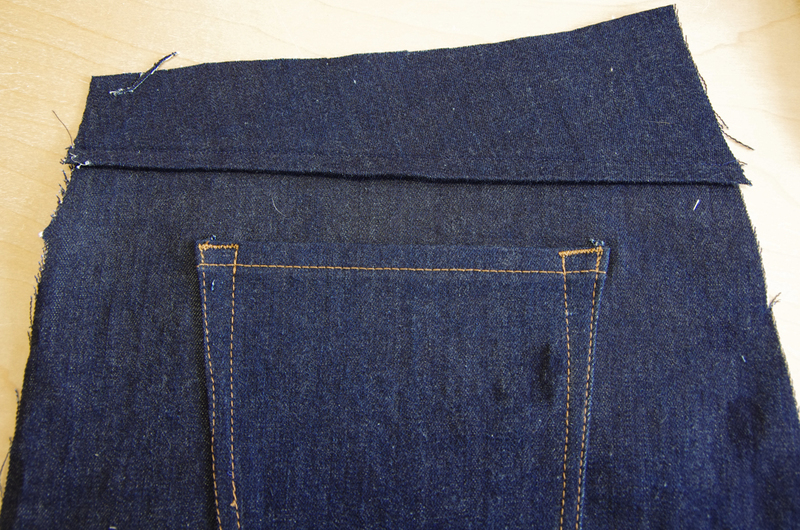 Fold the 5/8" seam allowance towards the smaller allowance so the raw edges meet in the middle. 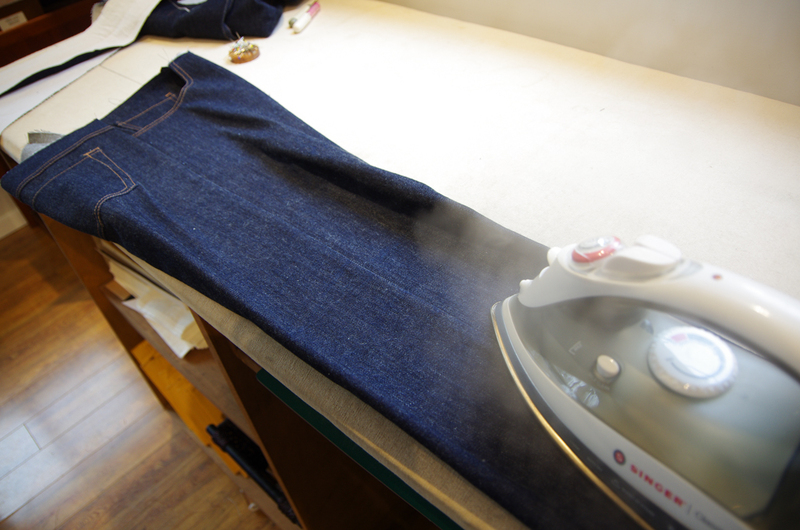 Press thoroughly. 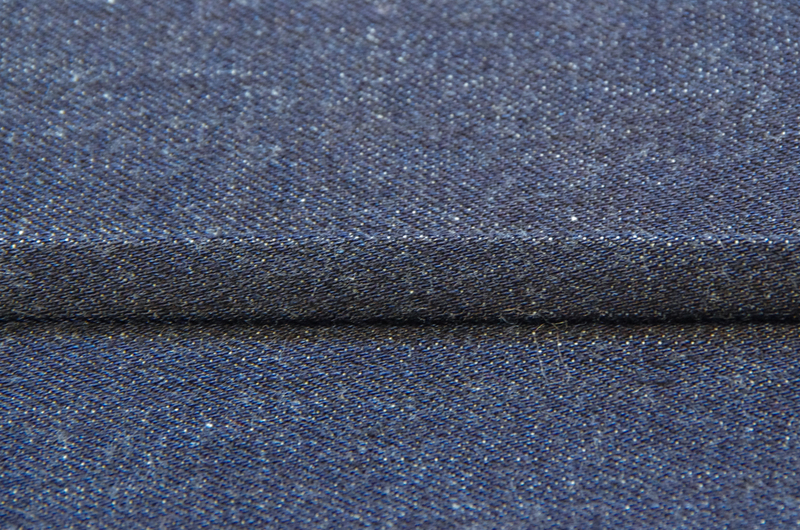 ...and one row looks dressier. 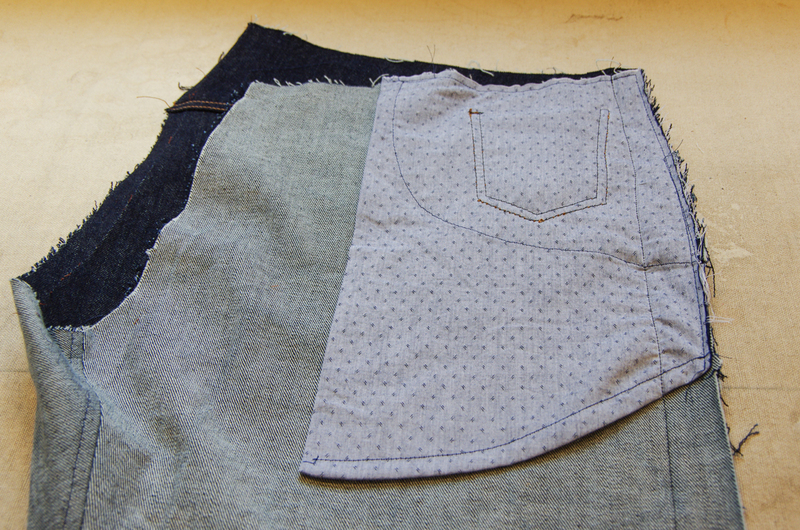 Ok, the inseams are done! 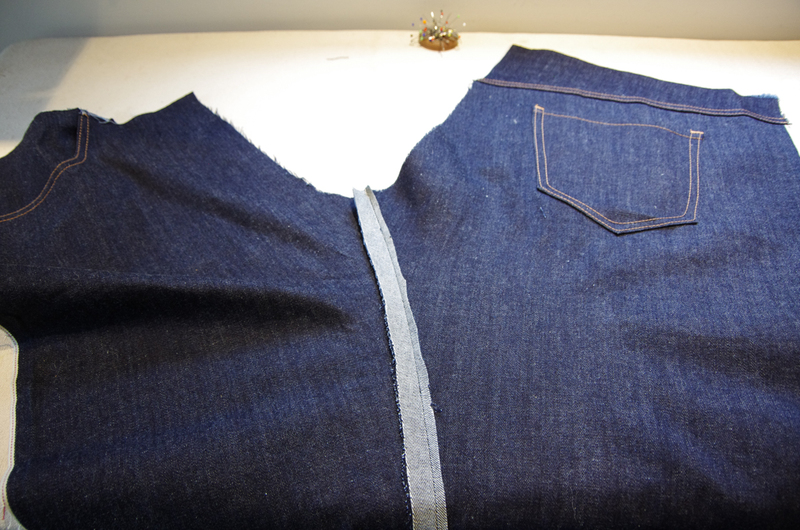 Before we proceed with the side seams, I want to remind you that this is a perfect time to baste together the side seams and seat seam to do one more fitting on your recipient. 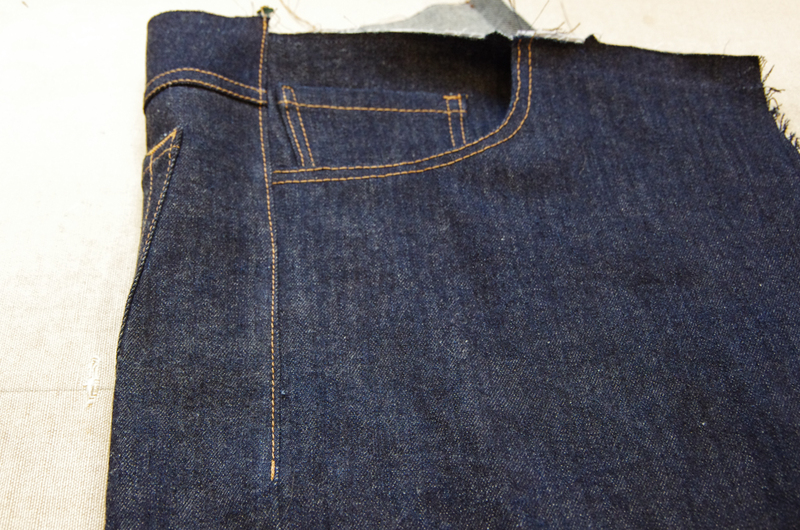 At this stage it is easy to adjust the shape of the hips, the taper of the wasit, and the width of the legs by taking the jeans in or letting them out within the 5/8" side seam allowance. 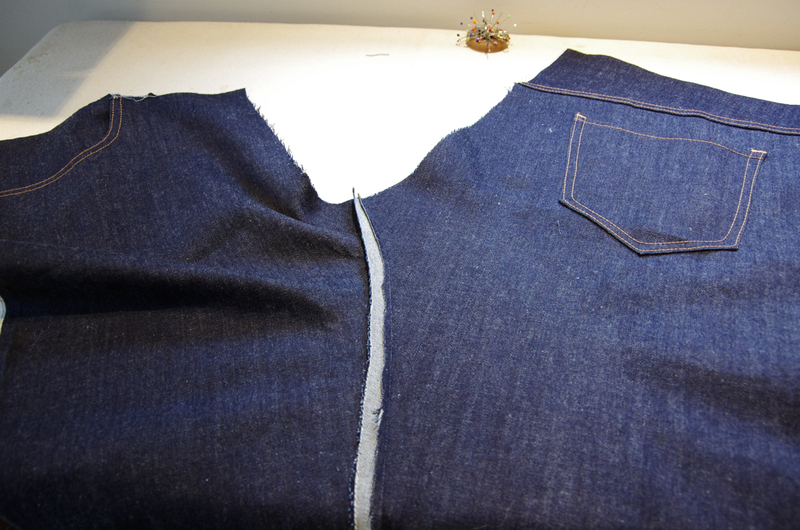 In the photo below, you can see that I've done this and marked my new shape along the waist and hips. 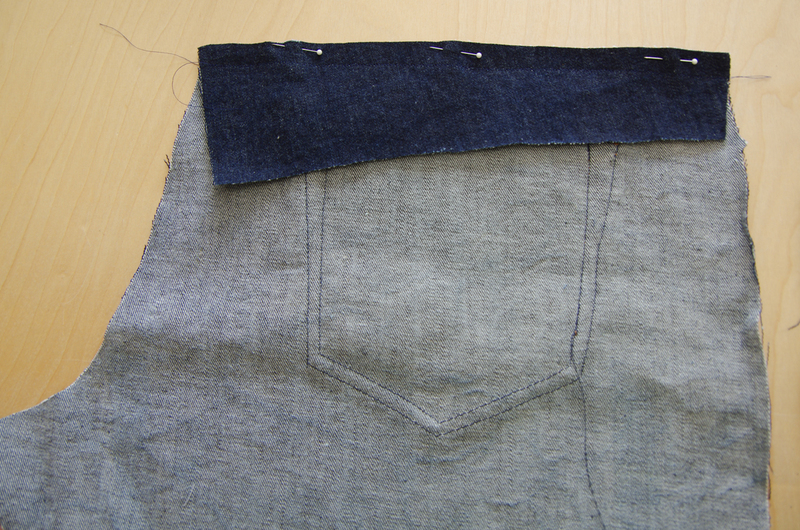 I took the waist in 1/4" and then increased this to 1/2" at the hips all the way to the knees. 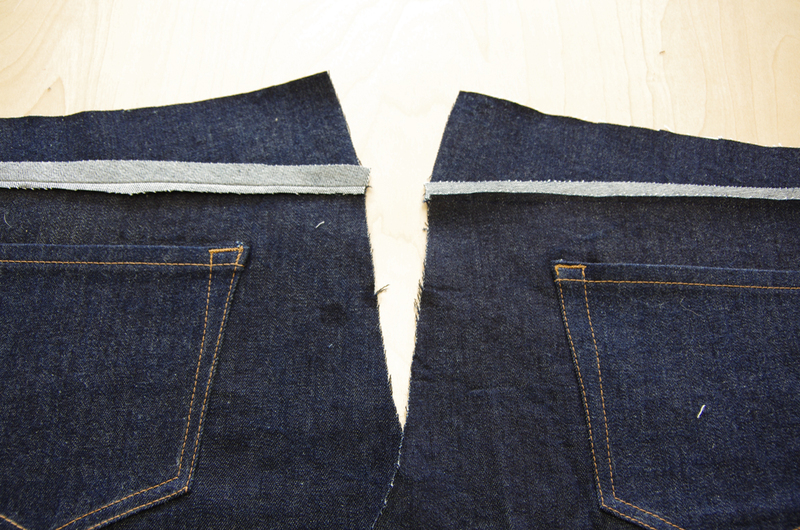 If you're ready to stitch the side seams permanently, switch back to a regular stitch length and pin each front and back pair with right sides together. 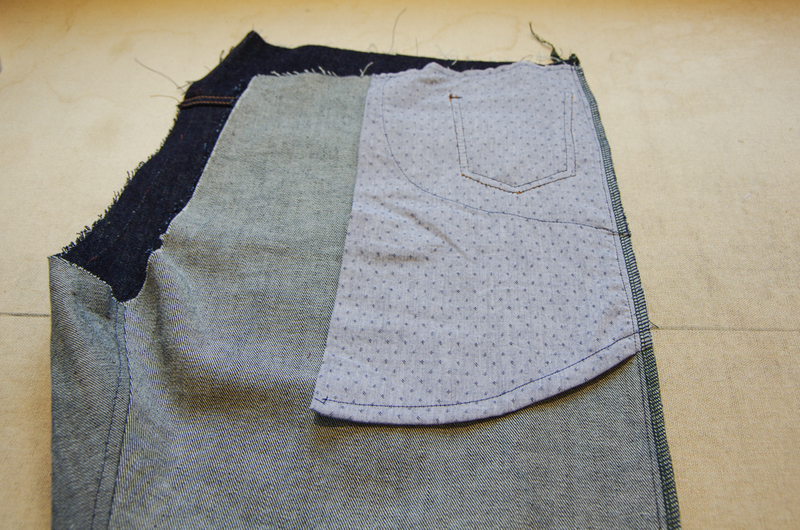 This will be stitched as a regular seam (not a flatfell seam). 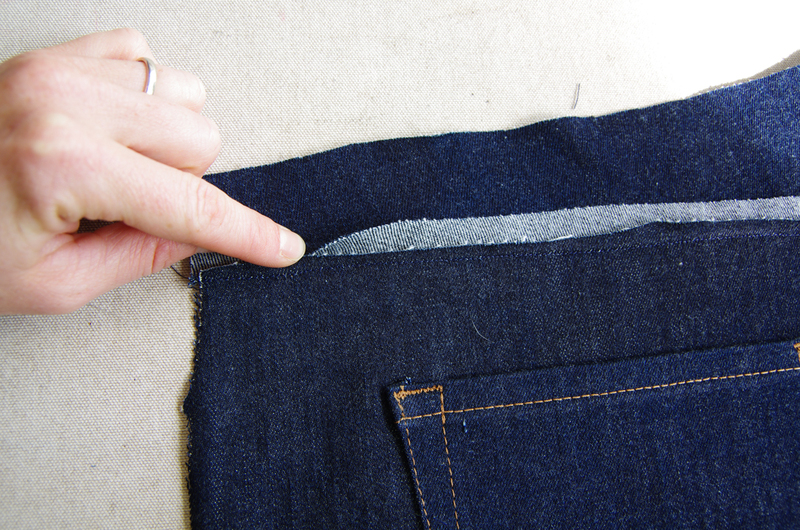 Stitch using a 5/8" seam allowance unless your chalk marking indicates otherwise. 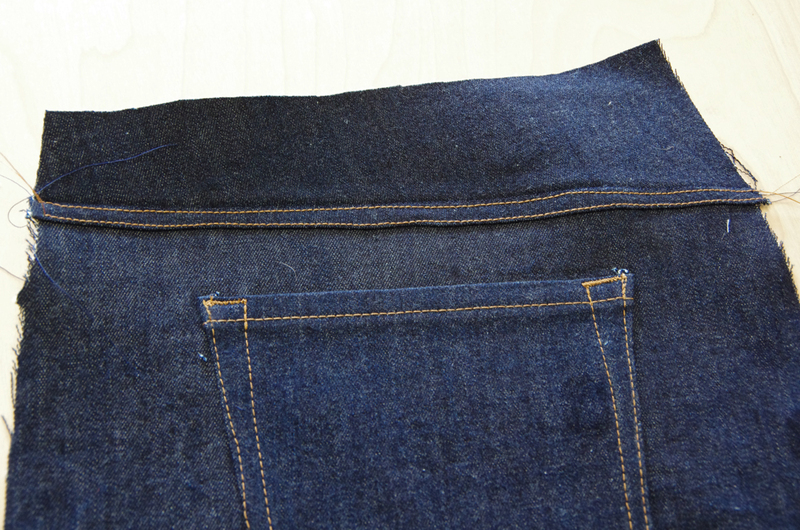 Wow, our jeans are really beginning to look like something amazing! 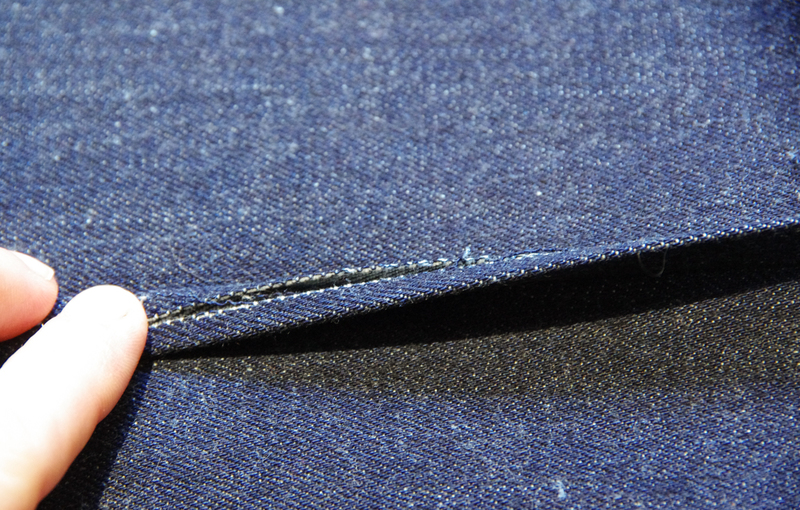 Sit back and admire all of that detailed topstitching we've created. 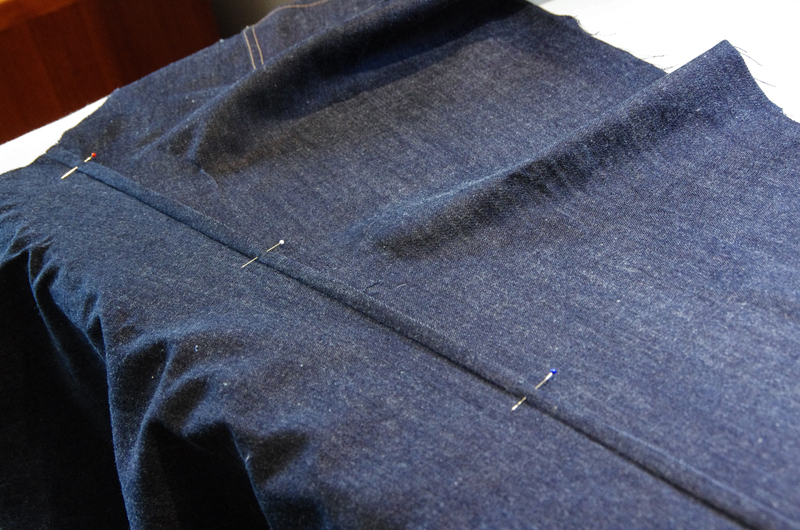 Next post we will be moving on to the seat seam and fly extension.